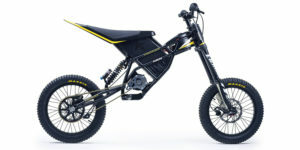 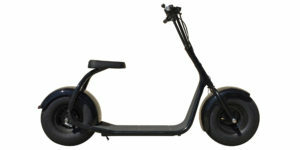 The I-Ped 2 builds on the strengths and simplicity of the original I-Ped 1 which used caliper brakes and had solid tires. 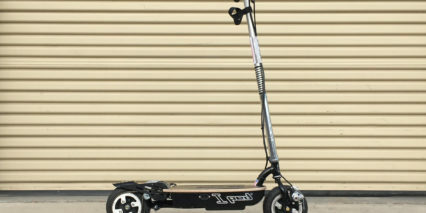 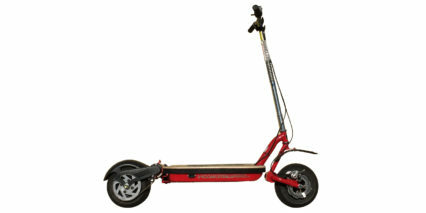 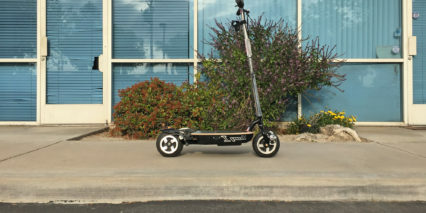 It was the first electric kick scooter from GoPed to introduce light weight – long range Lithium batteries. 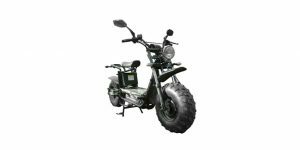 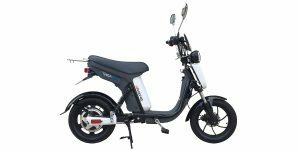 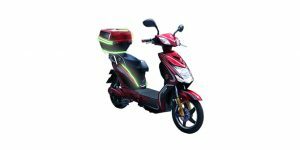 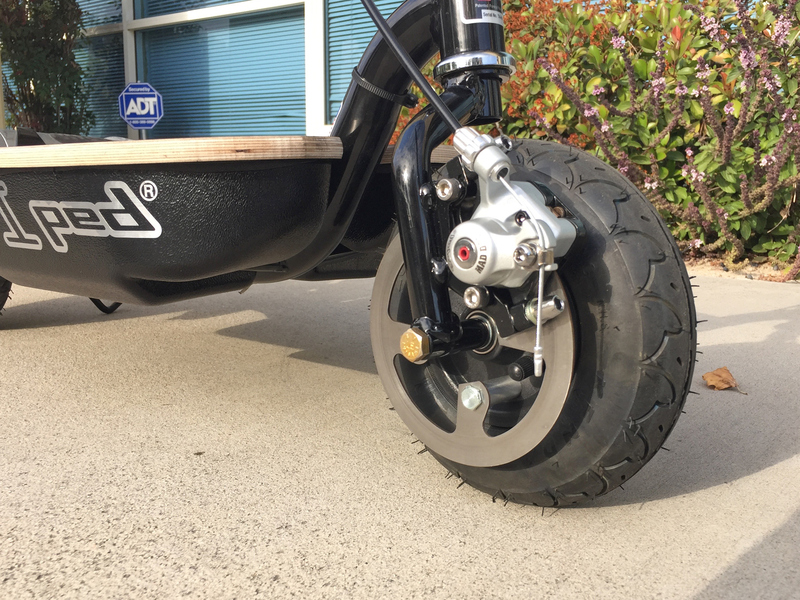 With the I-Ped II you get a more comfortable ride thanks to eight inch air-filled tires and stopping is greatly increased with a Mad Dog disc brake on the front wheel and friction style fender contact brake on the rear. 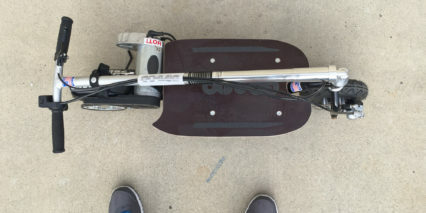 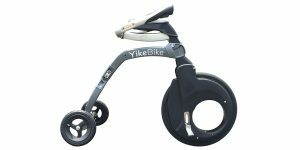 It’s a relatively light weight electric kick scooter at just 28 lbs (with the two battery Lithium option) but even though the handlebar folds down for portability it’s still a bit wider and longer than some of the other kick scooters I’ve reviewed. 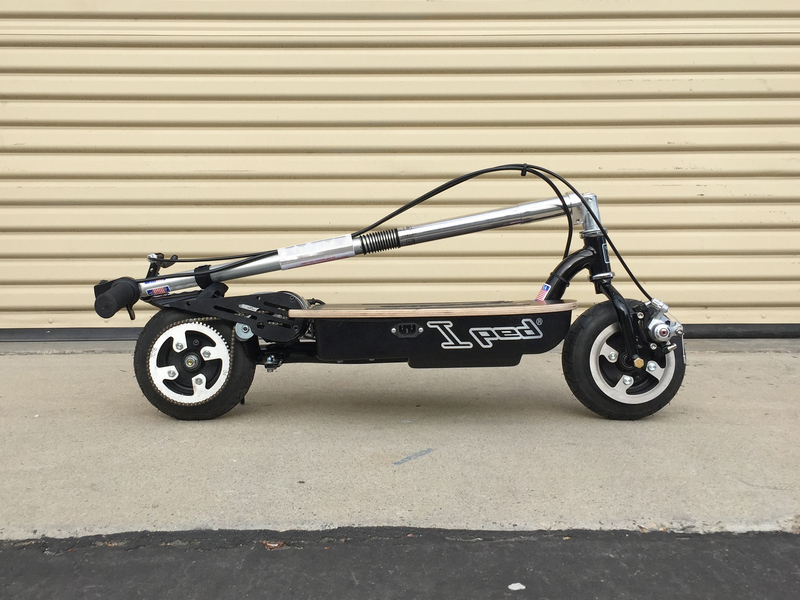 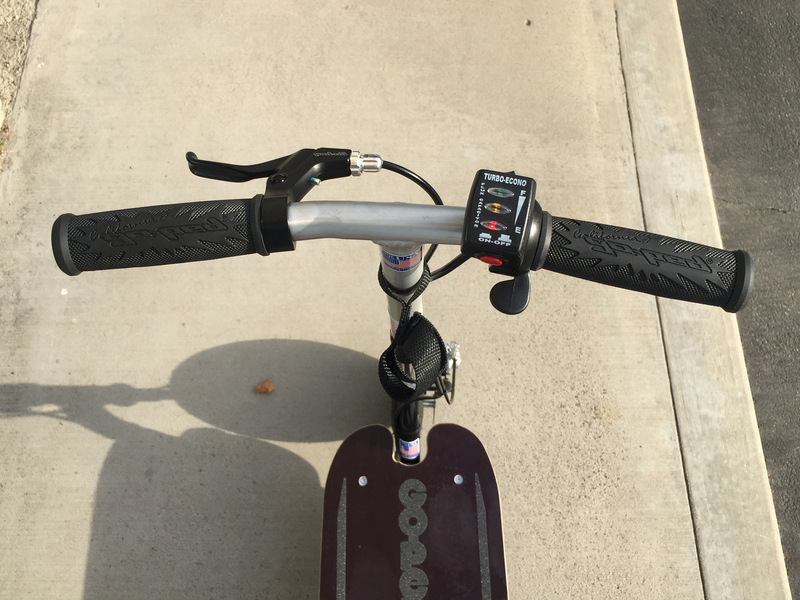 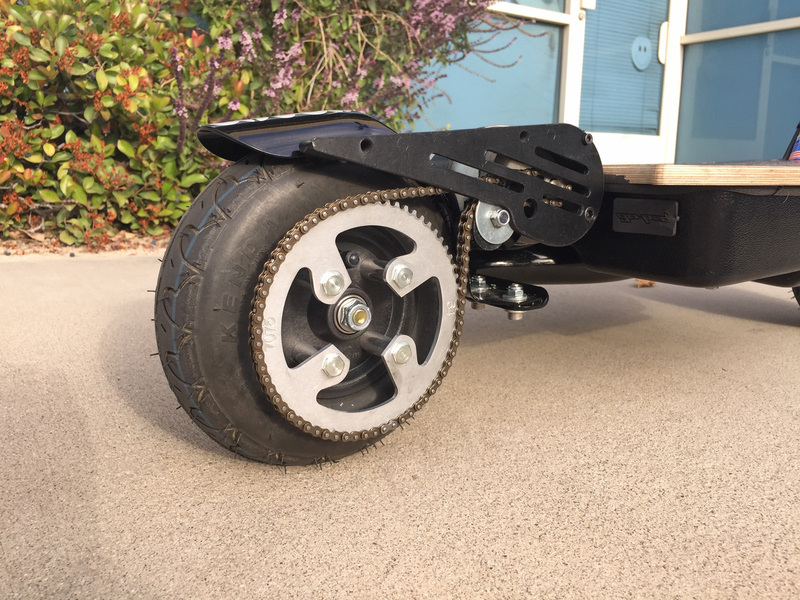 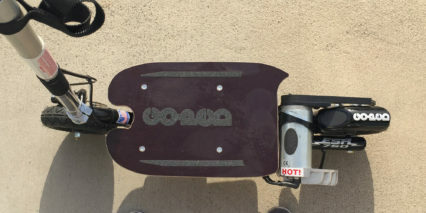 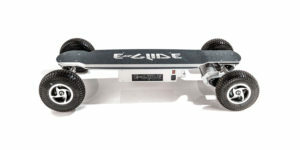 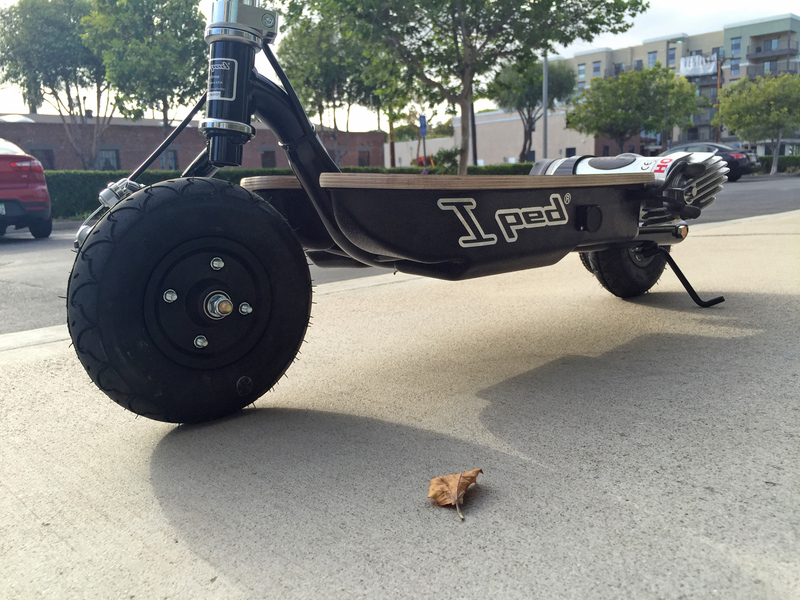 What GoPed delivers here is a light electric transporter that’s repairable and upgradable with different sized sprockets, billet decks and grips. 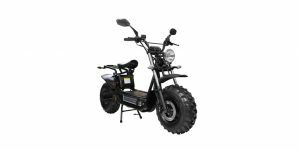 It offers a classic all-American look and is built domestically in Minden Nevada. 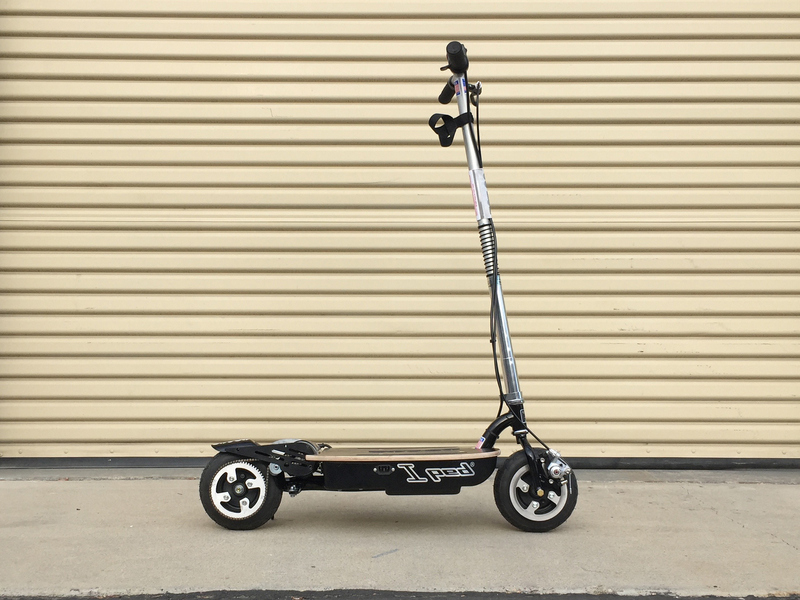 This introduces a longer wait time to get one in some cases and a definitely a longer lead time to have a custom one built (six to eight weeks for a custom order, you can pay $40 for the color of your choice). 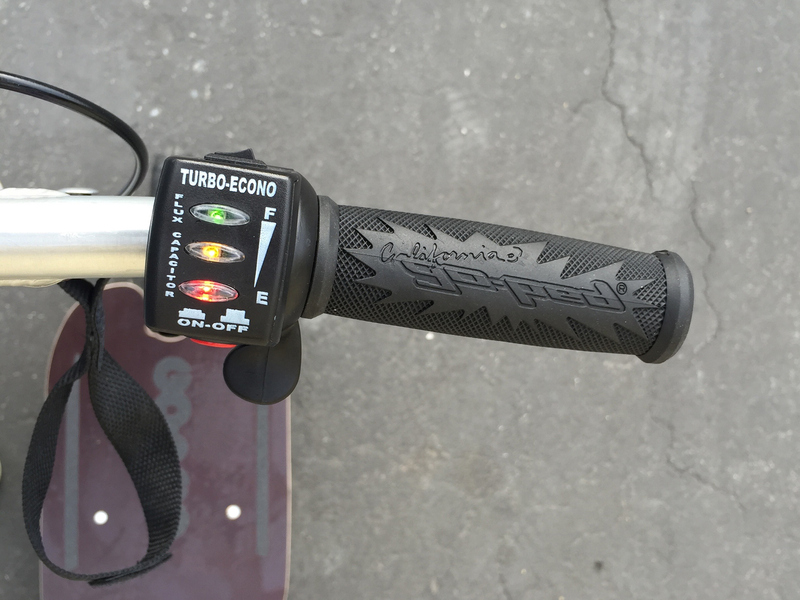 Big thanks to Sam Townsend of Electric Bicycle Center in Fullerton for his involvement with the video review and in-stock GoPeds to review. 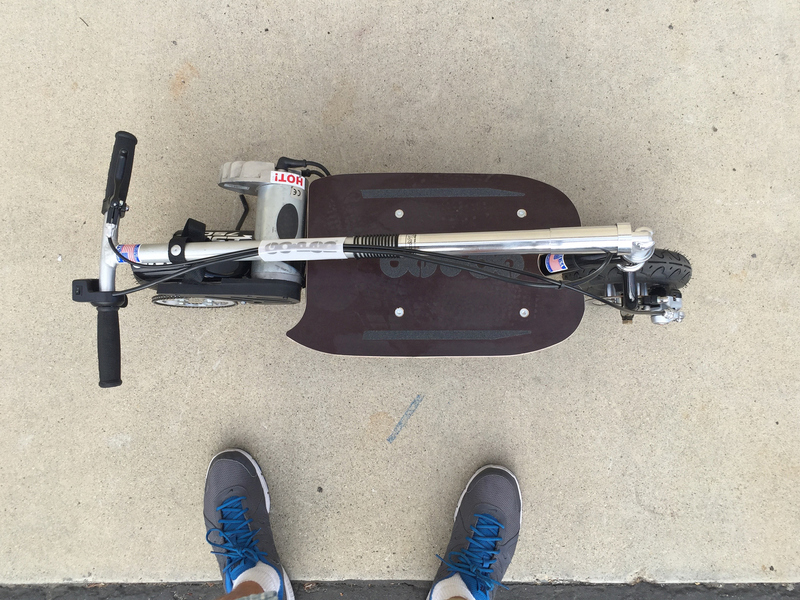 Sam shared the history of Go-Ped and the origin of what is now the I-Ped 2 which began as the Hoverboard in 2007… this was the very first electric kick scooter of its kind produced by the company which had full suspension, regenerative braking and used a friction drive system similar to the GoBike (also by GoPed). 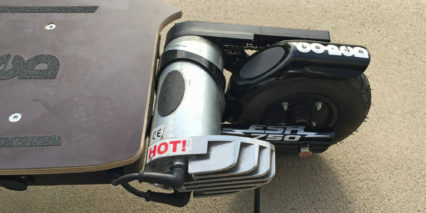 This first model was sometimes called the Hoover-Board because it “sucked” like the Hoover vacuums of the time. 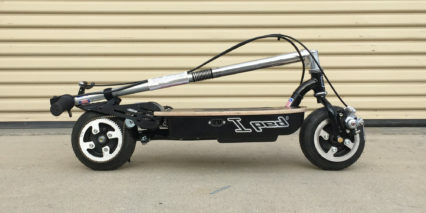 From what I’ve heard, it was just trying to do so many things and had some issues with the key but was otherwise very unique and groundbreaking for the time. 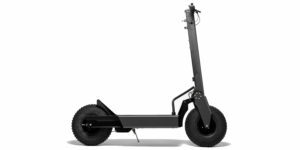 The name Hoverboard is now being used for a large-wheeled full suspension electric kick scooter which will be reviewed separately. 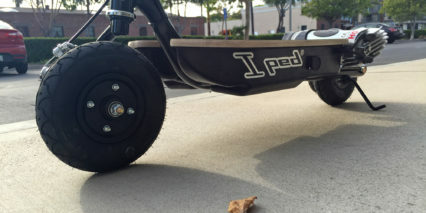 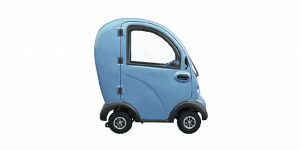 There are definitely some trade-offs to make with the I-Ped 2 including the larger footprint which might not stow as easily on trains or busses (still way smaller than a full sized bicycle). 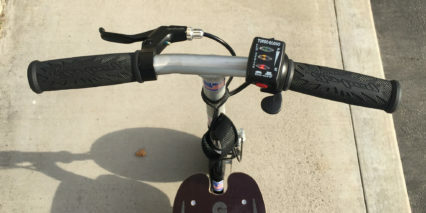 I noticed that the handlebars can feel wobbly if you don’t tighten down the slide-collar but doing so on the go requires an allen key vs. a quick release lever. 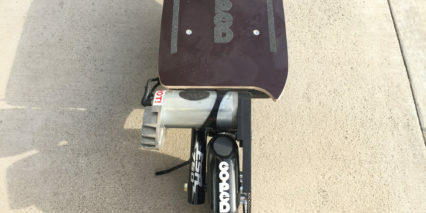 It’s also louder than most electric kick scooters I’ve reviewed recently due to the chain drive and this also adds friction and drag which limits how efficiently you coast. 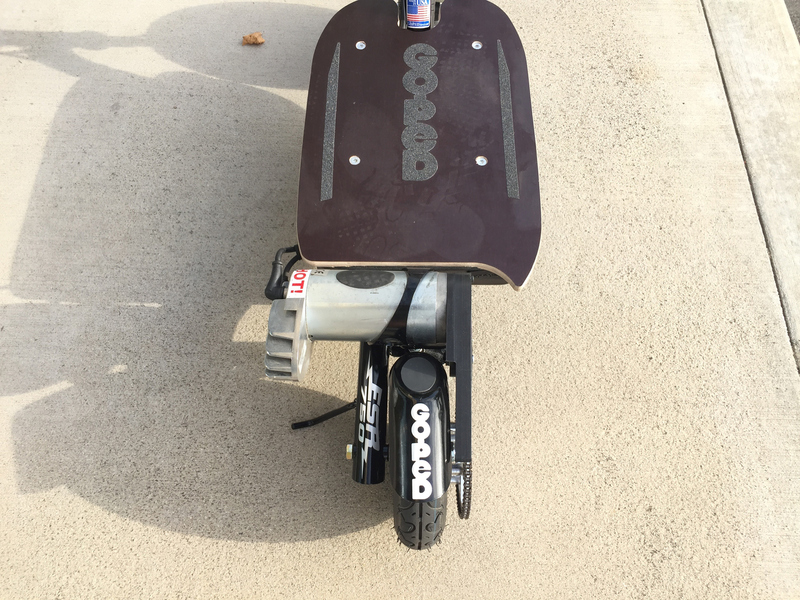 Still, this is one of the only 750+ watt scooters around and the ride is satisfying. 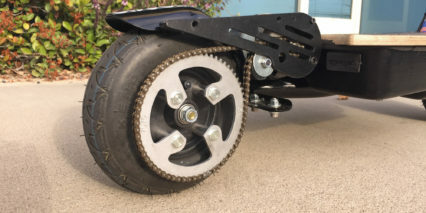 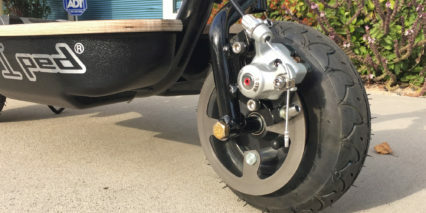 It’s up to you to swap out sprocket sizes to match your weight and achieve the desired power vs. speed but note that forcing the scooter to climb under load may lead to overheating and damage. 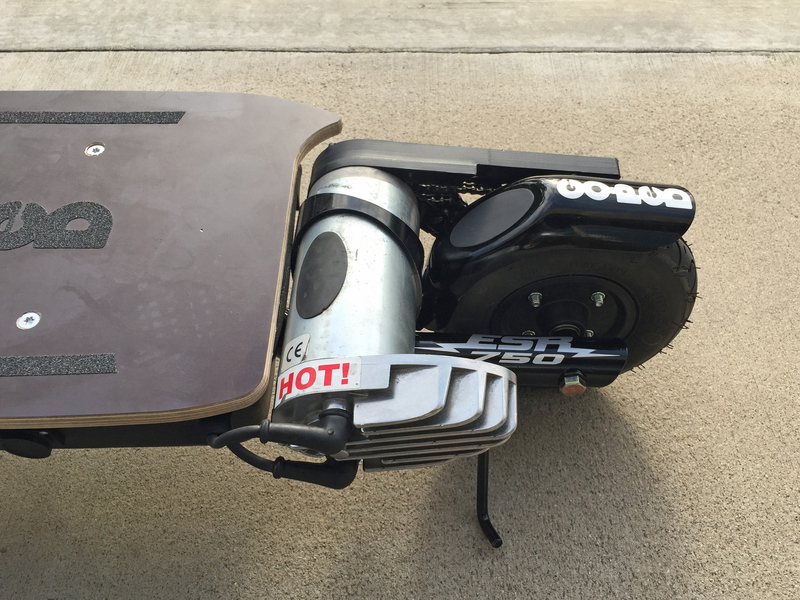 This system doesn’t seem to have a smart-switch to automatically shut things down if the motor is struggling. 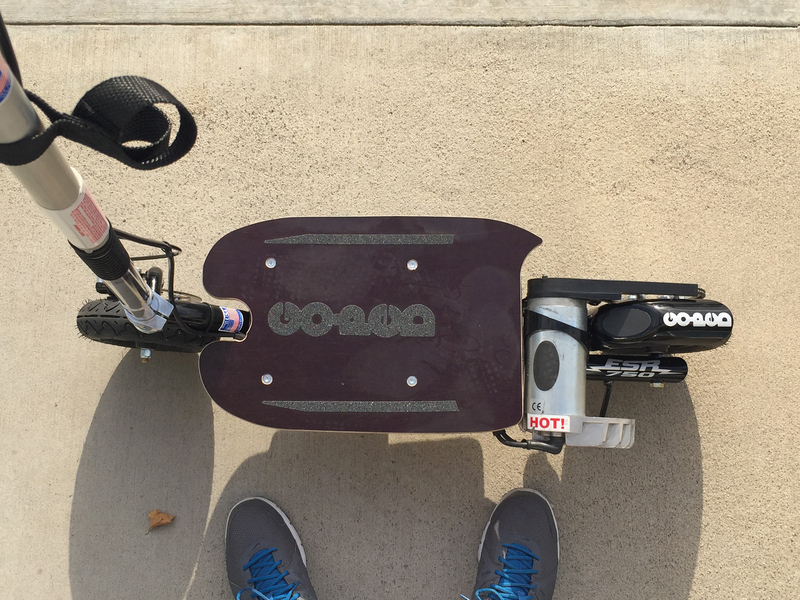 For scooting around the neighborhood, across town and even up light hills this is one of the better, more capable scooters I’ve reviewed and even though you don’t get a fancy LCD display showing speed, distance and precise battery level, the simple 3 LED console feels right… it matches the look of the scooter and is simple to use. 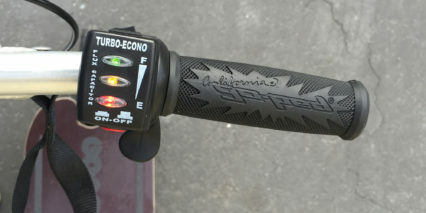 You get to pick from Economy or Turbo mode for less and more power/speed respectively at the top and otherwise there’s just an on/off red button. 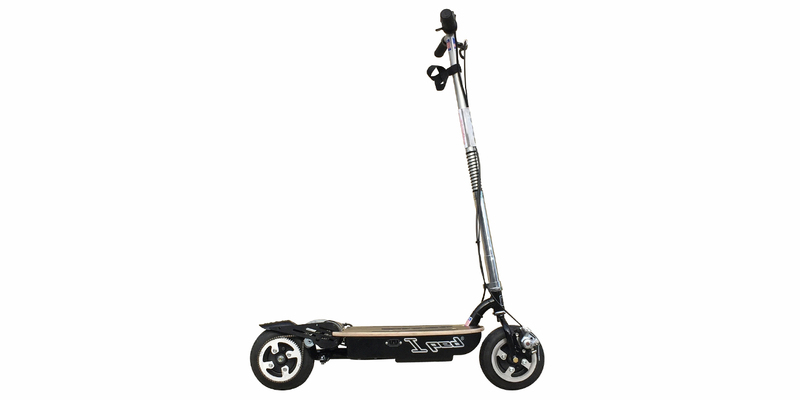 It’s that simple, but note that this also means it’s a bit less tamper resistant. 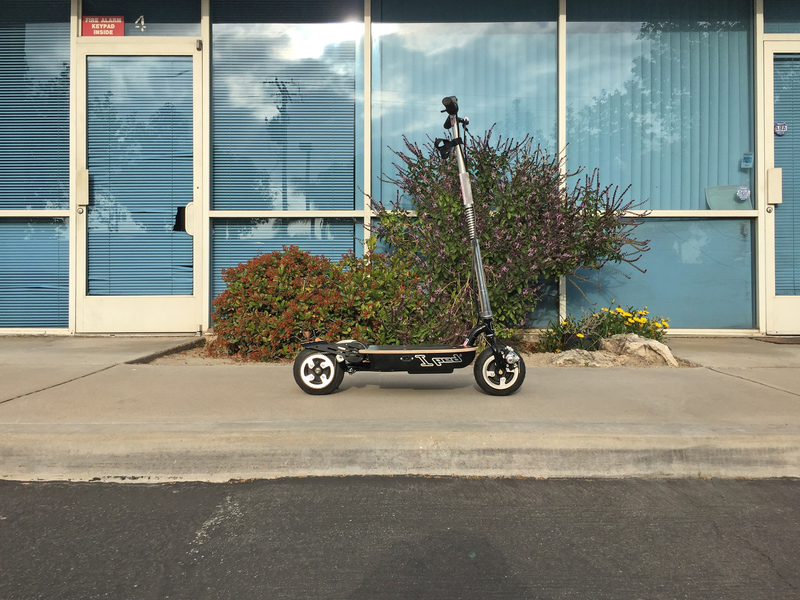 There’s no ignition key or other locking mechanism that I saw.